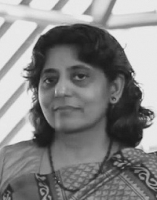 Dr. Geetha Rao is CEO of Springborne Life Sciences, a firm providing interim executive and advisory services for emerging medical technologies and healthcare innovation. She is an experienced executive, entrepreneur, and strategic advisor with a particular focus on operational excellence that meets best-in-class, international standards. She is an internationally recognized expert in emerging medical technologies and medical device safety regulation. She serves on policy making bodies and standards organizations for medical devices, health information technology, and connected health systems. She was a contributor on the 2013 World Economic Forum research project on Sustainable Health Systems and a TEDMED scholar. She serves on the program faculty for the BioDesign for Mobile Health at Stanford University and is an advisor to several medical device incubators. Dr. Rao holds a Ph.D. in Engineering from MIT and a Master’s in Business from Stanford University, Graduate School of Business.